When people ask me, ‘why do you like blogging?’ — it’s posts like these that make me unequivocally be able to say it’s getting to ‘meet’ and collaborate with so many awesome people. The darling Hattie, owner of Hattie Sparks, reached out to me with the idea of collaborating on a table-styling project using some of the beautifully curated products from her shop. 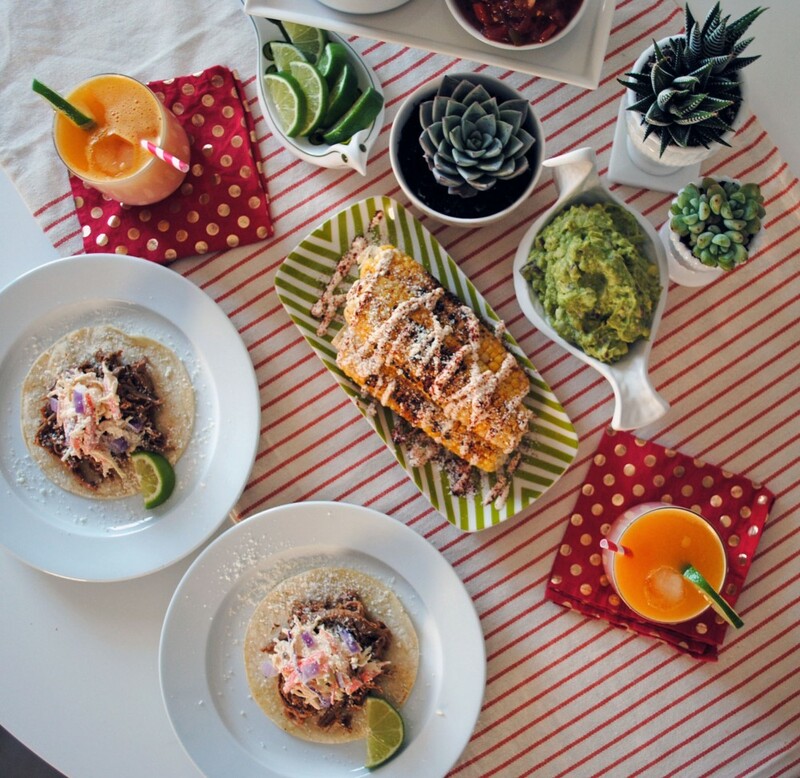 I of course jumped at the chance and when I saw the bright Jonathan Adler pieces she pulled together, I knew they were begging for a little taco party (I guess that makes this Taco Tuesday!). 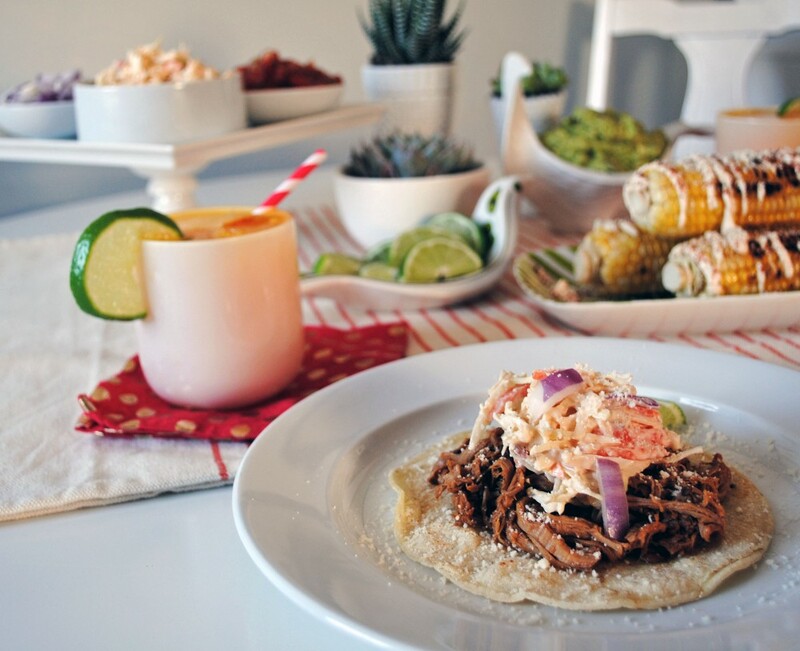 My husband absolutely loves tacos, they’re his favorite food, so I made a plan over the weekend to cook up some gourmet tacos for a Mexican-inspired date night at home. For the menu I made a spin on pulled pork tacos that were slow-cooked with chipotle peppers and honey and topped with a lime-chipotle slaw. I plated up some Mexican street corn on a bright green and white geometric patterned tray (those colors together were perfectly appetizing! 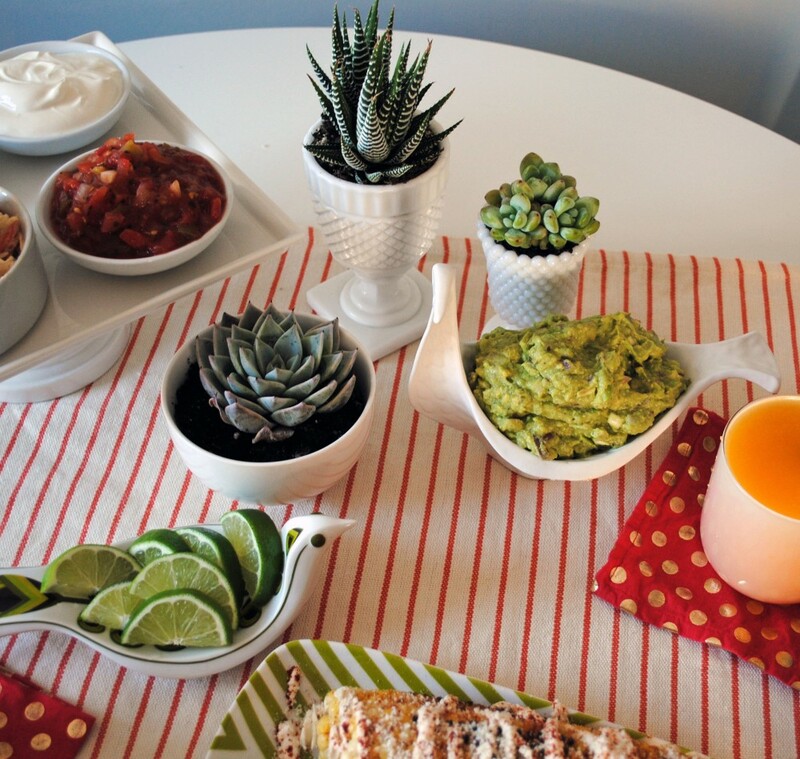 ), and of scooped lots of fresh guacamole and all the toppings into playful bird dishes and bowls! 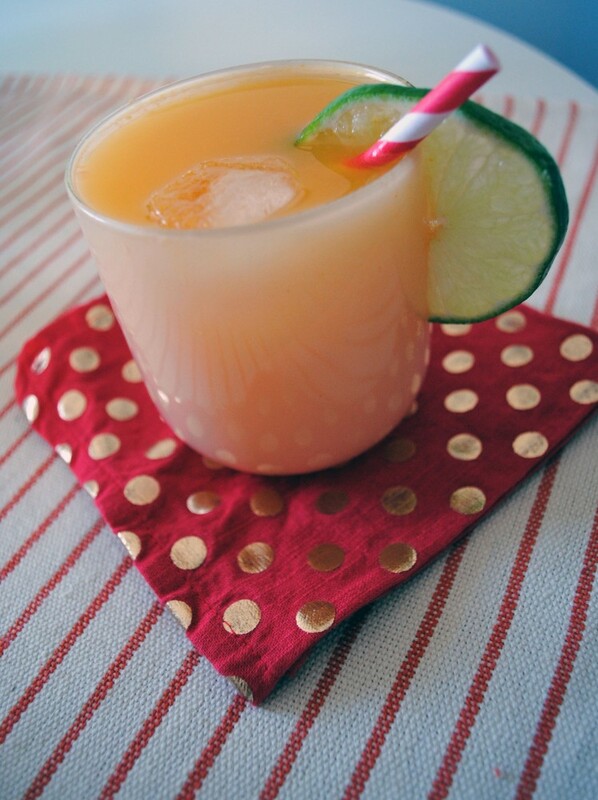 Of course we needed a sweet libation to wash down our tacos, so I mixed up a batch of orange mango margaritas in mod white rocks glasses. I hope I have made you thoroughly crave a taco night — I’ll be posting my recipes later this week so you can recreate the whole meal. And to help you recreate the look at home, Hattie Sparks has a special offer for my readers: 20% OFF your online purchase with the code DOMESTIKATE today through Monday 3/17 – shop away my dears, you know need a guacamole bird bowl! Please note: I was gifted some of the materials used in this post. All opinions, recipes, and taco jokes are my own. Mac and Chili Bites. 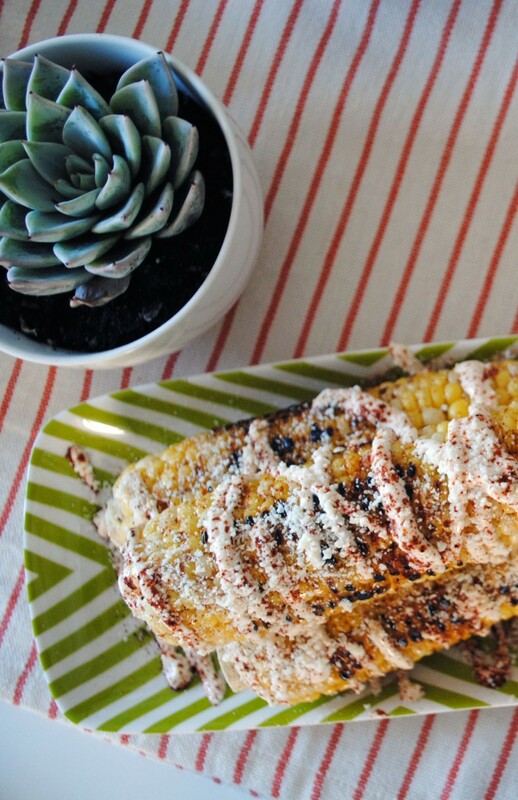 Mexican Street Corn. 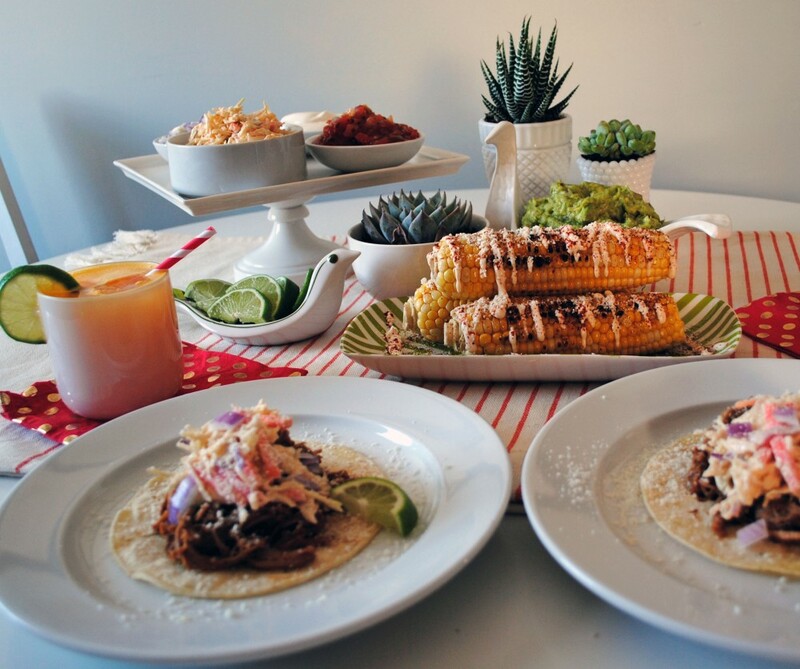 9 Responses to "Taco Date Night." Great pics, lovely table setting, yummy dish!! Very beautiful food and display! love taco night anytime! 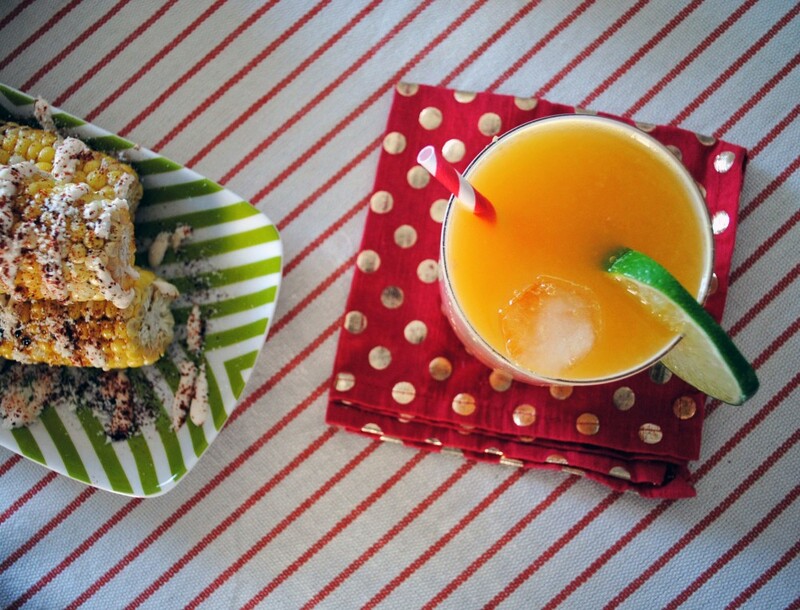 Taco date night sounds incredible–I’m craving that corn! Those bird dishes are the cutest things ever! Bahaha: “all taco jokes are my own.” You crack me up. Everything looks fabulous! this looks fabulous! and I agree, blogging is the best ‘job’ ever.